Classic Folios: Your values are based on quality and a commitment to excellence across your entire business, including customer care. How does Classic Folios support you in delivering your values? 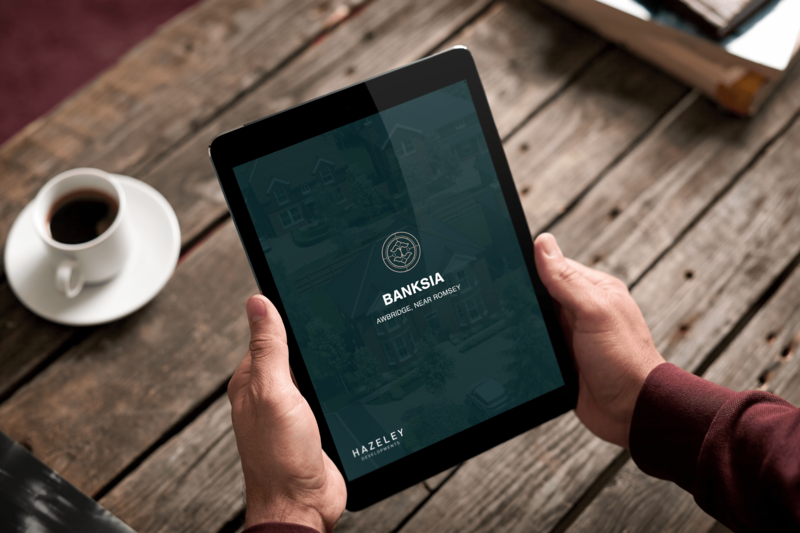 Gordon, Hazeley Homes: We see the benefit of working with Classic Folios to create and collate huge amounts of information that we can communicate to our homebuyers. This is especially true with the Hoozzi online portal, where we can add to the information and update in real time, for example, if we get a question from one homebuyer we can use this to update other homebuyers through the portal, ensuring that everyone has relevant and timely information. This also helps us as a business, as we are answering less of the same queries. Hoozzi allows us, in one simple and easy process, to supply the information to the correct people. Classic Folios: You have recently moved into a new Hazeley home that was provided with access to our Hoozzi portal. How has Hoozzi helped you to settle in and manage your home? Gordon, Hazeley Homes: When I first moved in, I wasn’t given the information to configure the alarm, as I didn’t have all the details. Once I had these, I created a sheet on how to set the alarm and our Hoozzi admins sent this to all plots with that alarm system. This meant that our homebuyers had all the information they needed and didn’t need to make additional calls to us or the alarm company. I also used Hoozzi to register my appliances; it made the process easier than managing pieces of paper and postal registrations. For the future, what I think is good is that when I move or sell the house, all of the documents, such as the EPC, are stored online and will be easy to access for the new homeowner. Classic Folios: Why is customer care so important to Hazeley developments? Gordon, Hazeley Homes: It is not just the aftersales; for Hazeley, it’s a holistic experience for our customers and not an add-on at the end. Quality is at the heart of everything we do, from the quality of the finished product through to our outstanding customer care. We believe that this sets us apart and makes home buying and ownership with Hazeley enjoyable and rewarding. Classic Folios: You have a very personal approach to your aftercare. How does Hoozzi help continue that journey for your homebuyers? Gordon, Hazeley Homes: It provides us with a platform to communicate, when we can’t be there personally. Classic Folios: Any final thoughts? Gordon, Hazeley Homes: We feel that going the digital route is the way forward. It sets us ahead of the competition and gives added value to our customers, aligning perfectly with our vision.